Transact head of sales and marketing Malcolm Murray has alerted IFAs that they may risk fines in the future if they fail to document the suitability of their chosen wrap for every individual client. 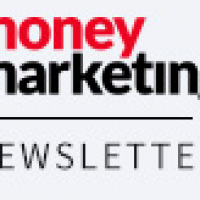 At the Money Marketing RDR Invitational in London last week, Murray said the FSA may fine advisers who have not justified their decision to place a client on a particular wrap in writing. He said: “I beg IFAs – make sure that the wrap you have chosen is suitable for every single client that you put on it and test the suitability against the due diligence that you will apply to that particular wrap service. Aifa has warned it is becoming increasingly unlikely that adviser-charging will be successfully implemented by the end of 2012. 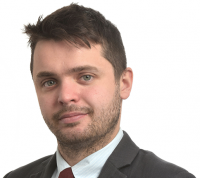 At the Money Marketing RDR Invitational in London last week, Aifa policy director Andrew Strange said that while he supports adviser-charging, it is a “huge, fundamental change” for advisers and providers to make to their business models. Strange said: “Aifa supports adviser-charging but the industry has to be able to deliver it. The more I speak to firms, be that distributors, providers or investment management firms, the more I worry that our shared dreams of putting adviser-charging in place are really a distant dream. Strange was critical of the FSA’s work on broadening access to advice, claiming the RDR has failed to address the financial needs of consumers. He said: “The FSA has failed in its objective to have more consu-mer wants and needs addressed. Oxera’s research indicates the RDR will bring both a reduction in numbers of firms and numbers of advisers and whichever way you cut the proposals, an additional cost of £1.7bn. This makes the provision of advice more expensive, which means fewer consumers will access advice. Strange also warned that any effort to make membership of a professional body mandatory would contravene the Human Rights Act. Where did Strange find any reference to a professional body? After all these years of reading what these representative bodies say it has become clear that they don’t have much of a grasp on what is going on.